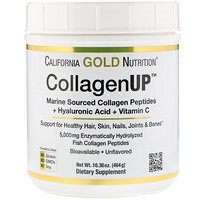 Collagen is the most abundant protein in the body and is a key constituent of all connective tissues. 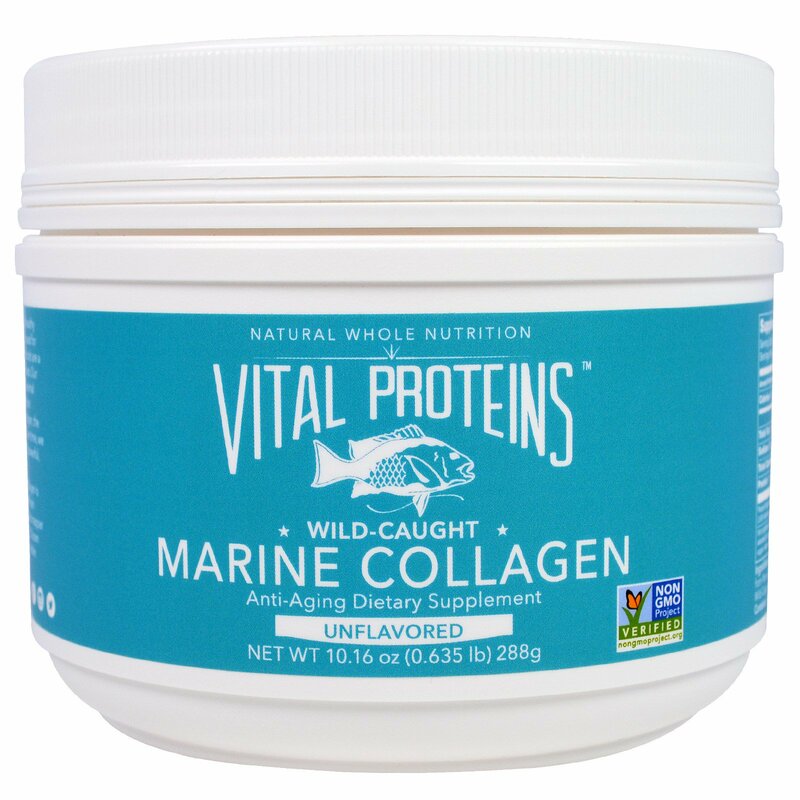 Collagen provides the infrastructure of the musculoskeletal system, essential for mobility. 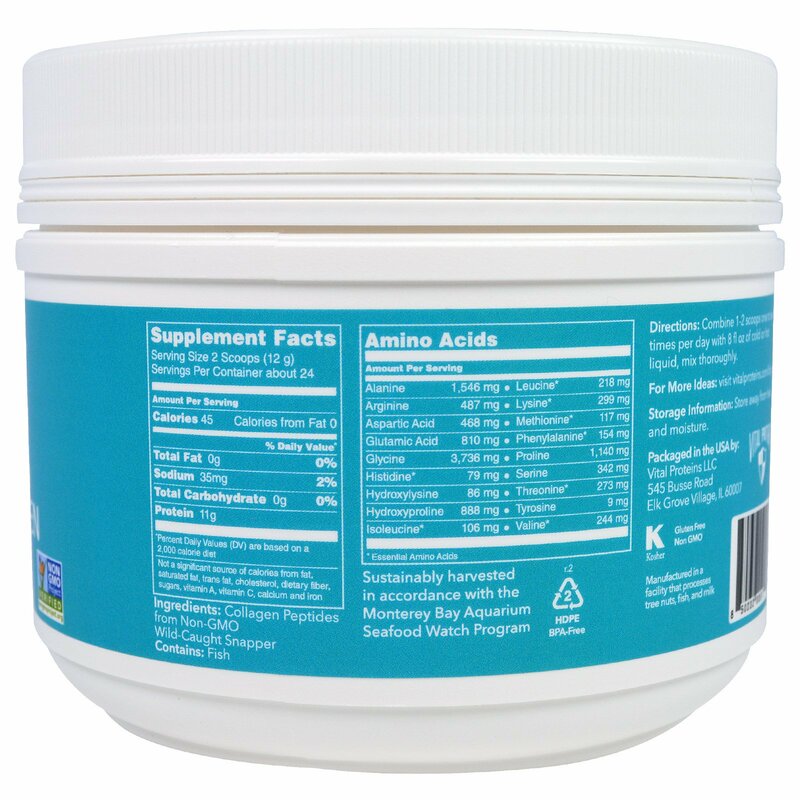 Peptides are short chain amino acids naturally derived from collagen protein. These natural peptides are highly bio-available, digestible and soluble in cold water. The intake of collagen ensures the cohesion, elasticity and regeneration of skin, hair, tendon, cartilage, bones, and joints. Collagen is a natural and healthy ingredient that has been used for centuries. Collagen-rich foods are a large part of traditional diets. Our ancestors utilized whole-animal nutrition which provided an abundant amount of collagen, the native form of gelatin. Over time, we have lost touch with this powerful, healing superfood. Vital Proteins' Marine Collagen is made from the scales of fresh Non-GMO Project verified snapper wild-caught in the Pacific Ocean near Hawaii using sustainable harvesting. Combine 1-2 scoops one to two times per day with 8 fl oz of cold or hot liquid, mix thoroughly. Manufactured in a facility that processes tree nuts, fish, and milk. Storage Information: Store away from heat and moisture.